A4 Copy/Document and Book Holder. 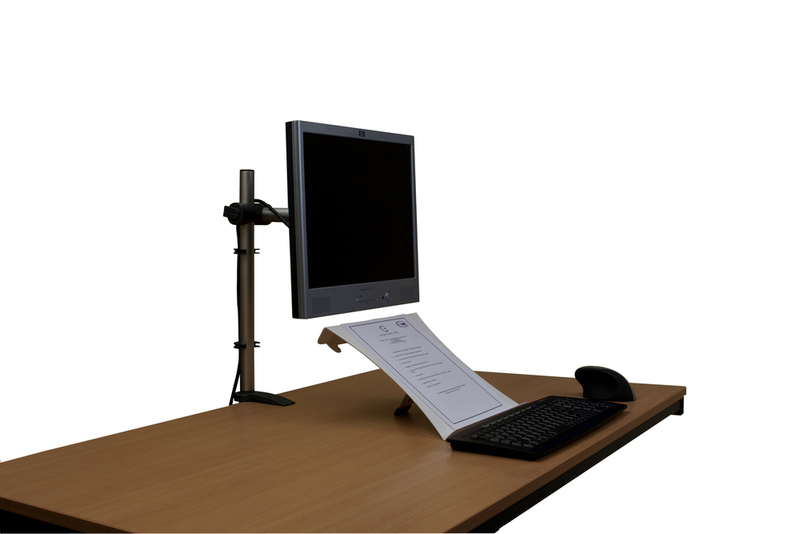 This clever little but sturdy stand offers 7 levels of adjustment for A4 landscape or portrait document and book support. The Unique design allows the user to choose easily and quickly between a document holder and a book holder. The book holder function will hold the books pages open, allowing the user to either sit back or take notes. The generous size will suit even the larger books. And the document holder function offers ample room for even pads of paper. 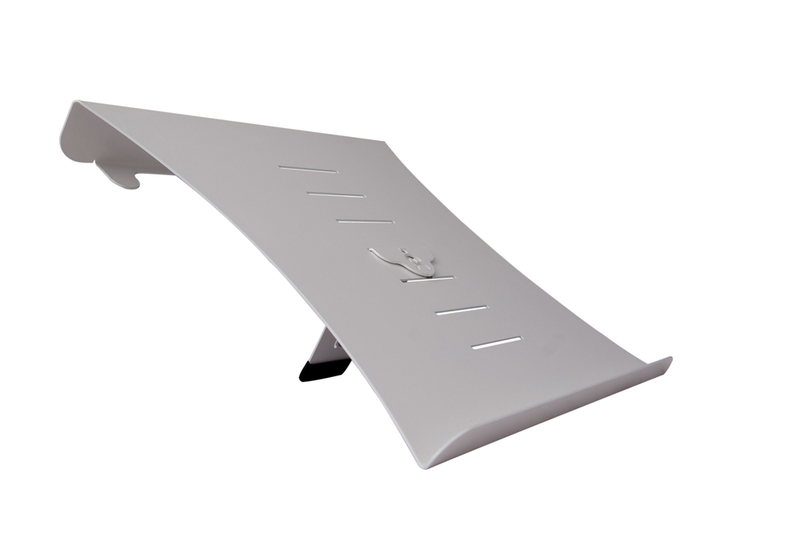 The design of the product adopts magnetic locks to keep the angle support arm in either the support mode for use on the desk or table, or in the closed position for easy transportation of the unit. Made from high strength steel, this stylish product offers great design and performance, but with the durability to last. Angles from 25° - 65°.